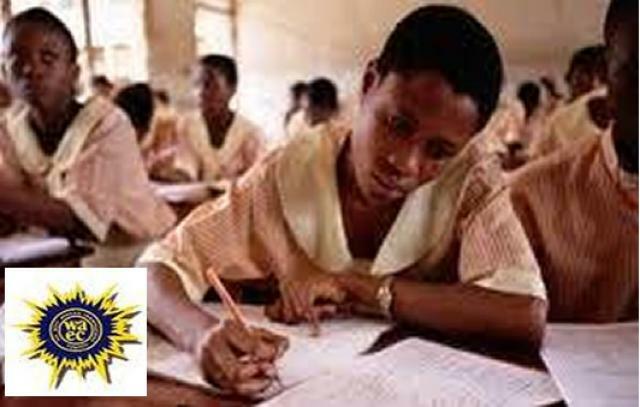 Home » EDUCATION » 2016 WAEC GCE Result Statistics is Out - 38.50% Passed. 176,621 candidates registered for the WASSCE for Private Candidates, 2016, while 172,699 candidates sat the examination. 175,411 candidates, representing 99.31% have their results fully processed and released. 88,290 were male and 84,409 were female representing 51.12% and 48.88% respectively. 1,210 candidates, representing 0.69% have a few of their subjects still being processed due to some errors mainly traceable to the candidates in the course of registration or writing the examination. Such errors are being corrected by the Council to enable the affected candidates get their results fully processed & released. 149,651 candidates, representing 86.65% obtained credits and above in two (2) subjects. 134,152 candidates, representing 77.67% obtained credits and above in three (3) subjects. 116,133 candidates, representing 67.25% obtained credits and above in four (4) subjects. 95,294 candidates, representing 55.18% obtained credits and above in five (5) subjects. 72,229 candidates, representing 41.82% obtained credits and above in six (6) subjects. 66,497 candidates,representing 38.50%,obtained credits in five (5) subjects & above, including English Lang. & Mathematics. The percentage of candidates that obtained five credits & above including English Lang. & Maths in the WASSCE for Private Candidates, 2014 and 2015 was 29.37% and 20.59% respectively. 19 visually challenged candidates registered for and sat the examination in Nigeria. From this figure, 4 candidates, representing 21.05% obtained credit in five (5) subjects, including English Language & Maths. Results of 13,488 candidates, representing 7.81% of the total candidature for the exam are being withheld in connection with various cases of examination malpractice. The cases are being investigated & reports of the investigations will be presented to the appropriate committee of the Council in due course for consideration. The Committee’s decisions will be communicated to the affected candidates thereafter Candidates who sat the examination will be able to check the details of their performance on the Council’s results website within the next 24 hours. When did the result came out? Wow i am so so happy finally i make my jamb. My name is Ifeanyi Chima i am from River state,i am one of the 2016 jamb-bite candidate. i wrote my jamb on 11/03/2016,and i receive sms from jamb that i score 153 and my cut off mark is 250. i was so sad i could not tell my parent about it even when they asked me i told them that the result is not yet out.i was crying all day because i have being writing jamb for the past three years now.i was so worried i have no option than to go to the internet and i saw a post that if i want to upgrade jamb score that i should contact the following number,and i collect the number and save it on my phone.after two hours i called the Man and i explain things to him. he told me not to worry that i should send him my details. after sending him my details, he told me to pay some amount of money that i will receive an sms from jamb, at first i was scared and i never believed him. i thought he was a scam but due to his advice, i later have little faith on him. i was so surprise that after i sent the money he asked me to pay, few hours time i saw jamb sms on my phone and i opened it with fear i saw that my score has being upgraded from 153 to 257…i share this testimony because of those who are having the same problem to please contact Dr Larry Ibrahim Jamb official on 08107644943. sir you will forever be bless once again thanks. So Call 08107644943 now to score above 250 and for checking and upgrading of score, Pending Results Issues call jamb head office on +2348107644943 or visit www.jamb.org.ng for help This Is 100% Guaranteed, Interested candidates Should Tel: 08107644943. Now! Charges Applies and 100%Guaranteed© Thanks to Dr Larry i am grateful sir.